So I apologize to my readers, that I have taken so long to write on here. I feel like I have had writers block for awhile. I have written in my journal, but those are more personal writtings. Anyways a little reflection from today...ramblings as usual. We had our ashe wednesday service tonight at chapel and it is always meaningful to perform various spiritual rituals with my kids. I love communion weeks and tonight was special as well. Taking the time with each kid and staff to have them kneel and then putting a sign of the cross on their heads and sending them forth with a blessing is meaningful. Rituals can be very moving. I think I have the winter time blues...I just am in a rut, with my faith, with friends, with my routine...my life just seems to need a recharge. 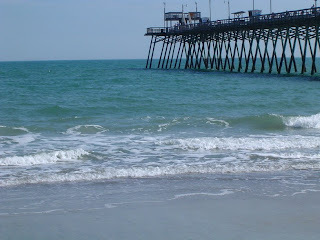 I am hoping I am just in need of a vacation...which I will be in North Carolina in a month! I need to see the ground, I am sick of snow! I want sunshine and flowers! I want to wear flip flops and go to the park. I want to have a picnic. I do not do good with the unknown, I am a planner. I like to be in control. Currently I have no idea what my future holds. It is a big year of change. Change with my family, change in my life, change in jobs, change in location. Crazy times, but so much amazing future on the horizon, lots of joyous events! A harmony of spirit, and comfort of courtesies. As I enter into this season of Lent, those last 3 lines stick with me, and will be my focus. I'm not sure why I haven't written on here lately. I have been rather busy, and most recently sick with a bad case of the flu. I have been at a loss for words as well. Before my vacation, I was in much need of some rejuvenation. I got that on vacation. I came back and was thrown into a whirlwind of craziness of being back at work, with a new summer schedule, various staff out because of injuries, my boss leaving for a long vacation, lots of new kids, and then to top it off I had to get sick. It's been intense. Amidst all that I am struggling to find balance in my life, what things I feel are most important, things I need to keep sane, where I will seek my spiritual needs, basically trying to prioritize and re-evaluate. This has been an amazing first "almost" year at Cunningham and here in Champaign-Urbana. But now that I am settled in, comes the joys of seeing what worked this year and what didn't, what I need more of, what I can do with out. Also the ever coming future is out there in the distance as well. I try not to think about it but I can't. I always have been a planner, note making, to-do list fanatic. I just like to know what's next, and what I need to do to get there. I have always wished I was more spontaneous, laid back, and go-with-the-flow, but that just hasn't been me. I guess it is only fitting that I would find a guy, that is spontaneous, laid back and go-with-the-flow. Sometimes it drives me crazy, like when he randomly says, "We are having dinner with my mom in an hour", when I am out grocery shopping. But it's great at times, especially after a hard week, and at 11 at night he says, "let's go swimming!" or we just veg out and watch a movie (meaning he watches it and I fall asleep usually). I'm learning to embrace whatever very small spontaneous side of me there is. It's made for some relief from the stress and intensity of work. So I guess I should take my own advice and try to be present in the moment. The present is good, (minus this stupid flu, but it made me slow down, so I guess its not too bad), the present is greater than I could have ever imagined, the present is teaching me so much each day, I am growing in the present. 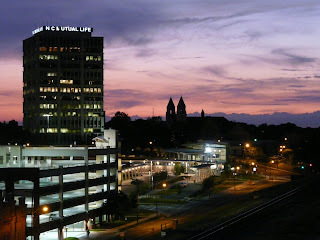 Welcome to Durham, NC...one of the coolest cities in my opinion. Here are some pictures from where my parents now reside. 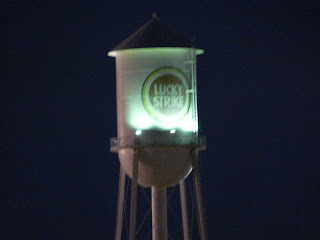 This is a picture from the roof of our parking deck, where you can see the lucky strike water tower. This used to be a tobacco town. This is a view of the city, you can see my church sticking up in the distance! Here it is, where my parents now live! 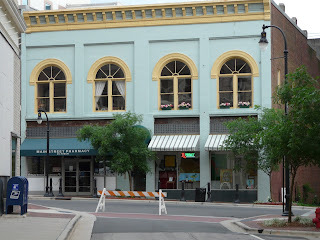 It's on the 2nd floor in the blue building with yellow trim. We live above a pharmacy. I love that my family are city dwellers now! 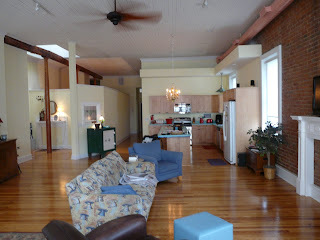 And below is a view of the inside. It is really hard to show pictures of the inside you must come and see it, it is something you don't fully grasp until you enter inside. Needless to say I love this place!!! We leave tomorrow for the beach, but I am excited to walk to church in the morning and on Monday get some coffee down the street! In 5 days I leave for my vacation in the great state of North Carolina! 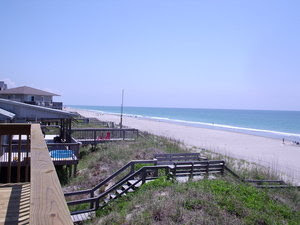 And in 7 days I will be at the glorious beach, Emerald Isle. Some of you might be asking, where??? 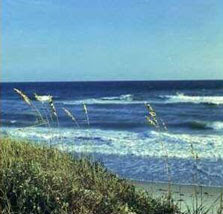 Well is is one of the many beautiful NC beaches. My family has been going here ever since before I was born and it has become one of those places you just can't stay away from. Last year we went to Sunset Beach and although it was beautiful, Emerald Isle holds a special place in my heart. 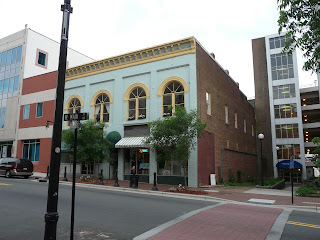 Maybe it's the tradition, maybe its the great bookstore they have there, maybe its all the memories that come up each time we arrive. 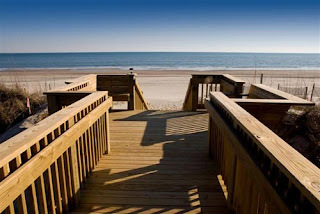 I can't wait to see views like these, walking to the pier, sitting on the porch and looking out across the ocean.